November 20, 2015 - November has been a "stay home and eat actual cooking" kind of month. We did venture out to Burger King last month to get two Plants vs. Zombies buckets, but picked up the rest of the Plants Vs. Zombies goodies on eBay. 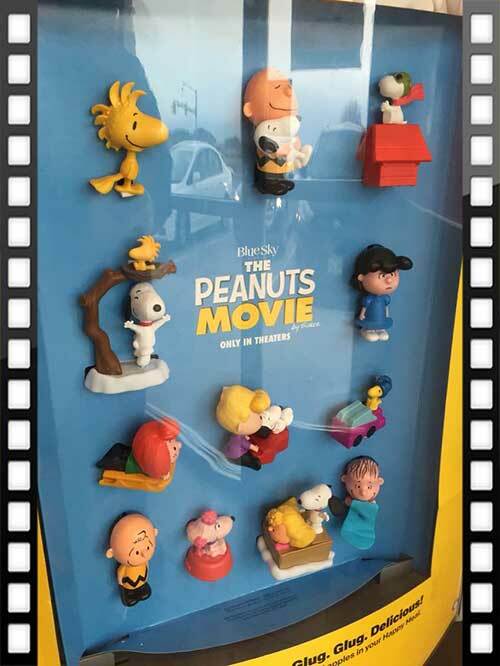 - McDonald's has The Peanuts Movie toys in their Happy Meals. The next promotion shown is a joint promo of Pokemon and Build-A-Bear Workshop. 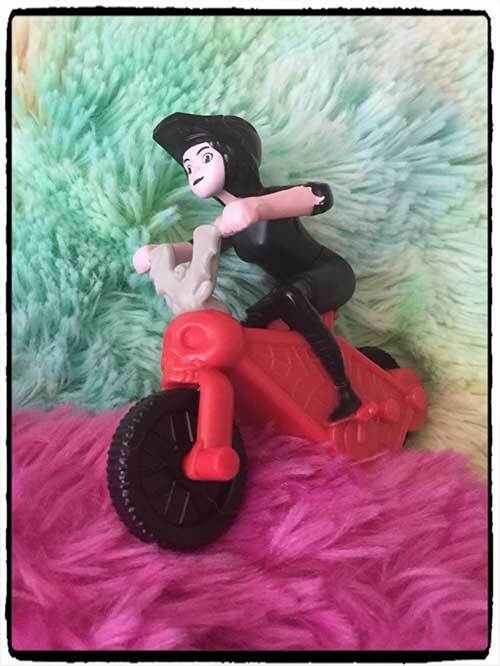 October 23, 2015 - The boy and his grandparents made one trip to McDonald's this past month, with the lone toy brought home being the Hotel Transylvania 2 pull-back motorcycle shown above. 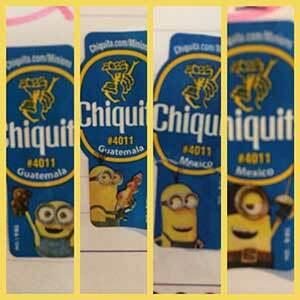 Between Minions and Plants vs. Zombies, this next month is going to be an eBay-heavy month. 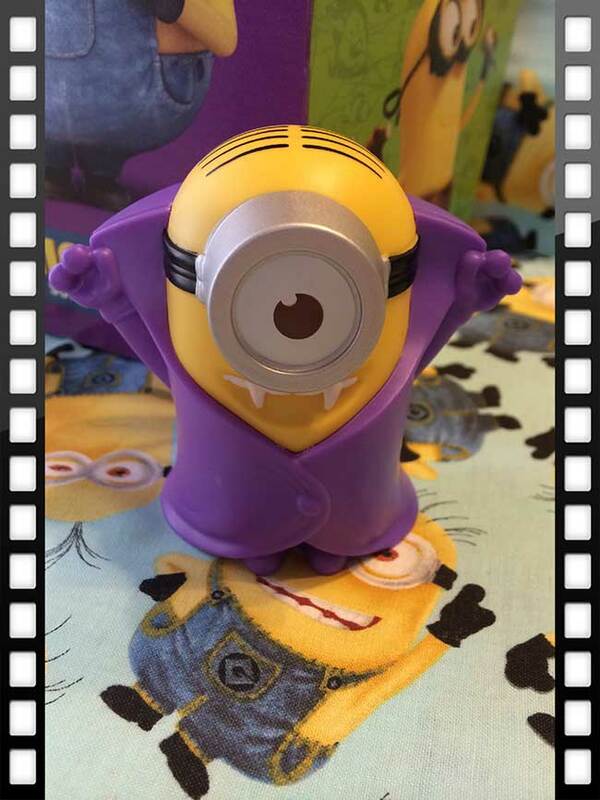 - McDonald's has a Minions trick-or-treat buckets/pails in their Happy Meals. The next promotion shown is The Peanuts Movie. 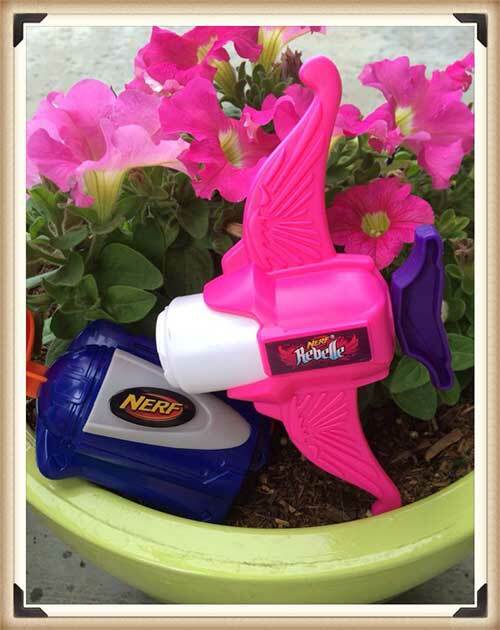 - Burger King's kids meal web site features Plants vs. Zombies toys. 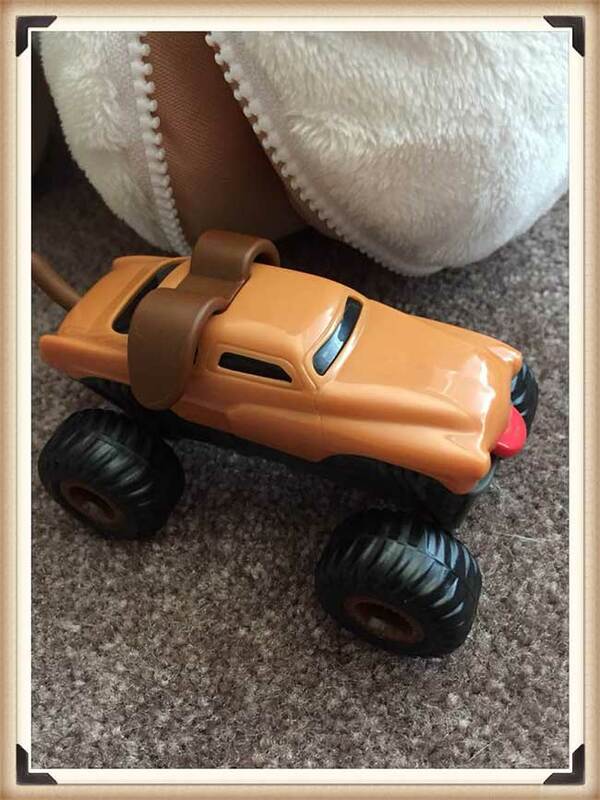 There are eight different items, including six toys and two buckets/pails. 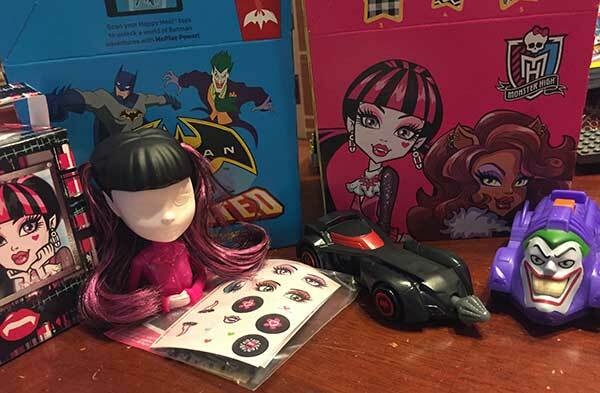 August 26, 2015 - We made several trips to McDonald's in July and August, and collected a few Batman and Monster High toys. Neither license interested the boy, and for our last trip, he decided that he would rather get a 20-piece Chicken McNuggets box than a Happy Meal. (He ate a few at the restaurant and brought the rest home for later - it ended up being about three meals in all.) I'm curious to see if this continues when there are toys he likes. 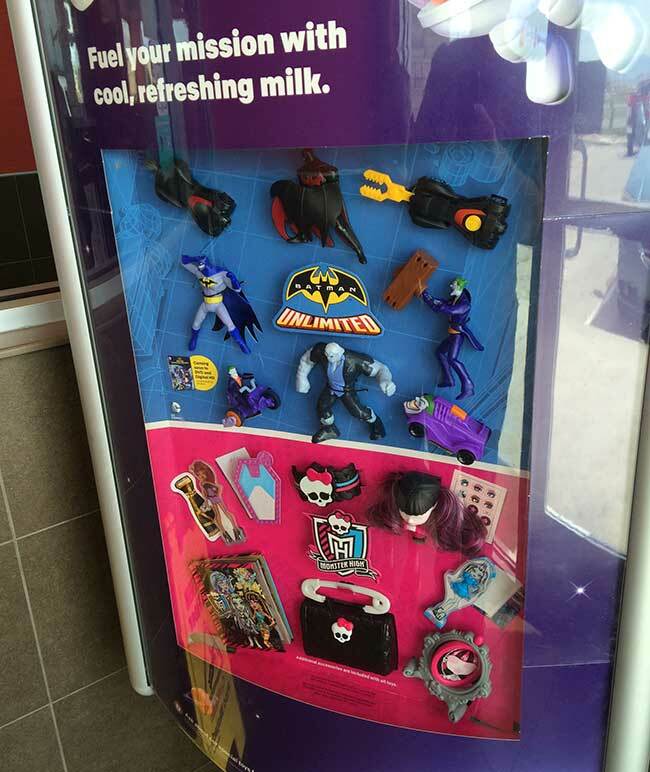 - McDonald's has a joint promotion of Monster High and Batman Unlimited toys in their Happy Meals. 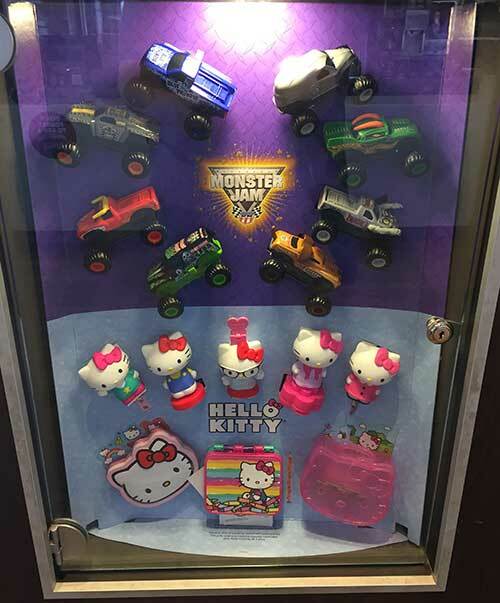 The next promotion shown is a joint promotion of Hello Kitty school supplies and Monster Jam trucks.